This pumpkin-orange cheesecake is a centerpiece dessert with multiple layers of rich flavors that roll across your tongue, surprising you with each new taste. 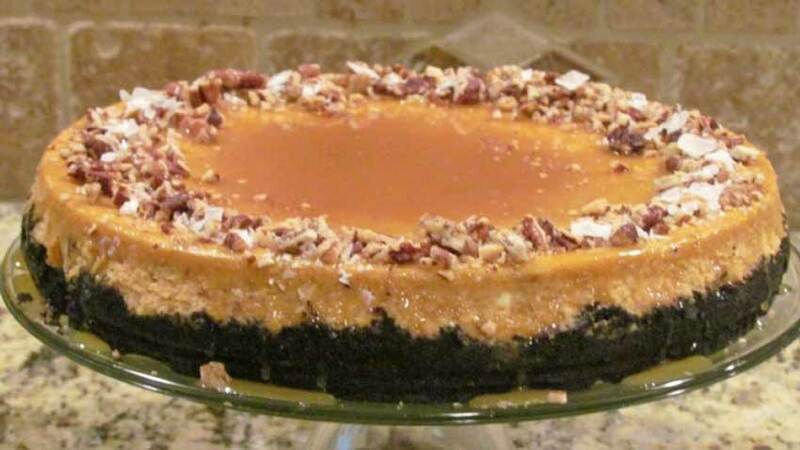 Rich and complex, this cheesecake is to be savored and enjoyed with friends and family. 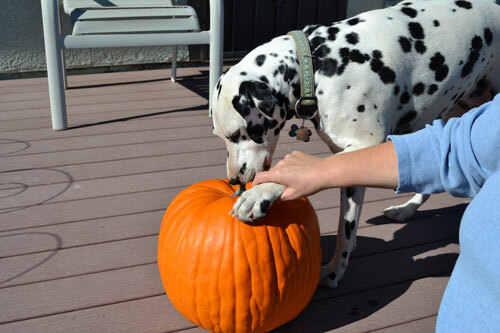 The orange is the first surprise, coming in soon after the pumpkin announces itself. Then the caramel, toasted nuts and salt crystals come into play, creating an entirely new experience than most have had with cheesecake. There are several variations that can easily be done here, depending on your skill level and time. First, making the caramel sauce in advance is important because the flavors you will have with home-made caramel sauce are much richer and fuller than the preservative laden sauce from a store. 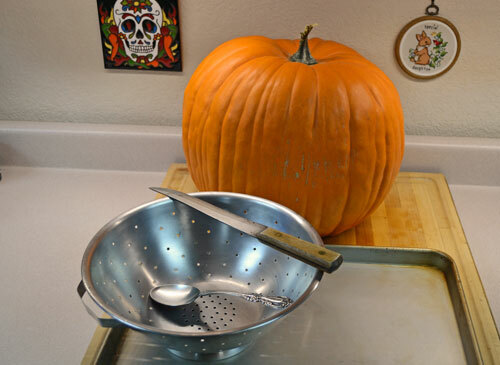 Second, using local pumpkin will give another flavor dimension that is impossible with store bought canned pumpkin. Third, the choice of salt is important. I really prefer FalkSalt, a handmade sea salt from Cyprus by a Swedish company that is dried into pyramid shaped crystals. They have an incredible visual appearance, great flavor and a satisfying crunch that just really completes the whole experience. My personal favorite is the Chipotle, as the slight hint of spiciness combined with the saltiness really complements all of the different sweet flavors. You should be able to find FalkSalt at a well-stocked grocery or specialty food store near you. 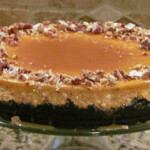 Both Thanksgiving and Christmas are top-shelf culinary times, and this cheesecake will set itself apart at either one. It will disappear almost as fast as the compliments roll in! 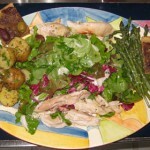 We have adapted this recipe from one we tried and loved last Thanksgiving from Sunset magazine. Give it a try and enjoy! Note: Caramel topping can be store-bought or made youself in advance. Home-made caramel is much more tasty and doesn’t take too much time. Flaked salt crystals make a great garnish to the edge and add a depth of flavor. I prefer FalkSalt, the Chipotle flavor adds a spicy note to the sweetness! Make crust: Preheat oven to 350°. Whirl crackers in a food processor until finely ground. Whirl in butter just until incorporated. Pour crumbs into a 9-in. springform pan and press over bottom and about 1 in. up inside of pan. Bake 7 minutes, then let cool on a rack. 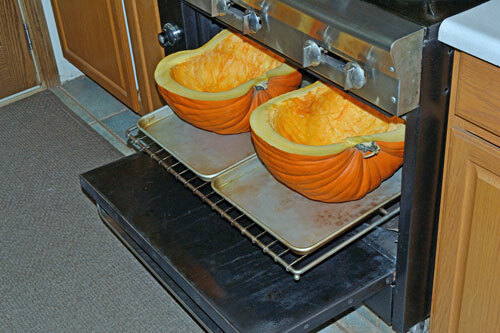 Reduce oven heat to 300°. Make filling: In a large bowl, with a mixer on medium speed, mix in cream cheese, sugars, and flour until smooth. Beat in eggs on low speed 1 at a time. Add remaining filling ingredients and beat until just blended. Wrap bottom of springform pan with foil, pressing it up the outside. Set springform pan in a roasting pan and pour filling into crust. Pour enough boiling water into roasting pan to come about halfway up side of springform pan. Bake until cheesecake barely jiggles in the center when gently shaken, about 1 1/4 hours. Let cheesecake cool on a rack 1 hour, then chill until cold, at least 5 hours. Whisk caramel topping and table salt in a bowl and spoon over cheesecake. Arrange pecans around rim and sprinkle flaked salt over pecans.